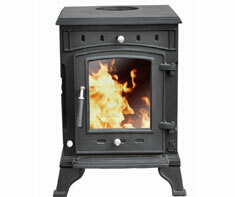 A Wood Stove is a closed metal box with a high-temperature clear ceramic window, that burns wood logs to create heat. A Wood Stove can be a free-standing unit, or it can be a 'fireplace insert' which sits inside of a traditional fireplace. Many homeowners who are concerned about rising oil, gas, and electricity prices have wood burning stoves to help reduce their heating costs, others like the aesthetic value of a wood stove. A wood burning stove must be properly installed and maintained to ensure safe operation. CO Detectors, Fireplace (wood-burning) and Furnace (gas). Shown in the 'Routine Care' section are the recommended routine maintenance tasks for your wood stove. The 'Q & A' section shows answers to common questions. And the 'Articles' section provides helpful articles about your wood stove.